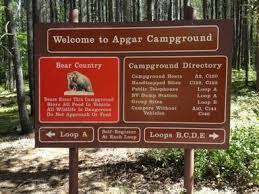 Apgar is the largest campground in Glacier National Park. There are 194 sites, the largest 25 sites have a maximum parking space of 40 feet. Near Apgar Village which has a camp store, restaurant, reservations for boat rentals, horseback riding, and Red Bus tour reservations. Primitive camping. Lake McDonald close by. Flushable toilets, disposal station. No water. Open April 27-Oct 8 . $20/night fee. 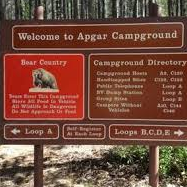 Directions: Apgar Campground is located 2.3 miles from the West Entrance on the Going-To-The-Sun-Road, sitting at the foot of Lake McDonald's south side.